Food travelling is always fun to do especially when you have your own preference of what kind of foods you enjoy the most. It will make your search of your next travel destination easier. 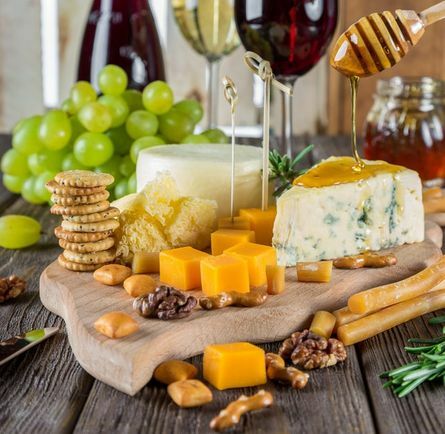 If you are cheese lovers, there are travel destinations where you can enjoy the foods rich with cheese while enjoying your trip. Of course, finding a place that is worth travelling for is a must. When it comes to cheese, it may sound easy to find destinations where there are foods made from cheese. If you think Italy is the only destination to enjoy cheese because of pizza, then you are wrong. There are other places where you can enjoy cheese in various dishes. Cheese is one of the most drool worthy ingredients when it comes to food. It is like a crime to dislike cheese. However, obsessed over cheese that you have the urge to food travelling to places which has the best cheese is on another level. Georgia – This is where you can find Khachapuri Adjaruli, a crunchy, fluffy pizza crust-like dough. It is then shaped into a boat then filled with melted cheese, butter, and raw egg. Even though the ingredients are quite simple that you can even try making it at home, it is different when you devour it in Georgia since it is one of the best Georgia’s cuisine. Don’t even ask how it taste like when the cheese melts in your tongue. Switzerland – This is a great place for general tourism agenda. However, you also will enjoy the most of your time when you can find Raclette. This dish is made from Valaisan cheese. The way to make it is quite unique. A wheel of which is cooked and the melted cheese is scraped out on to your plate directly. You can enjoy a plateful of melted cheese without anything. However, you can also add gherkins, potatoes, or pickled onions if you’d like. Greece – This is also one of the most visited travel destinations in general. However, it can satisfy your obsession over cheese as well. This is where you can enjoy traditional Greek appetizer, Cheese Saganaki. It is made from a hunk of cheese fried at the outside of the edge so it results in crispy texture. However, the inside will stay gooey. France – This is where you can find Aligot, mashed potatoes blended in cheese. When you take a spoonful of Aligot, you will taste the richness of cheese enough to make your tongue melt. Long strings of cheese will cling to your fork diligently. Thus, you can enjoy the buttery mashed potatoes with gooey cheese in this dish. You can devour this dish alone without additional side dishes. This dish is enjoyed by local and international tourists in general.